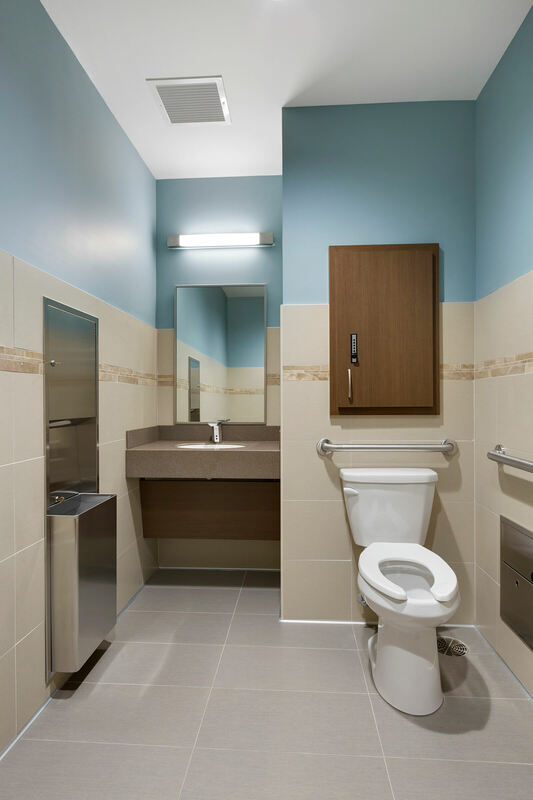 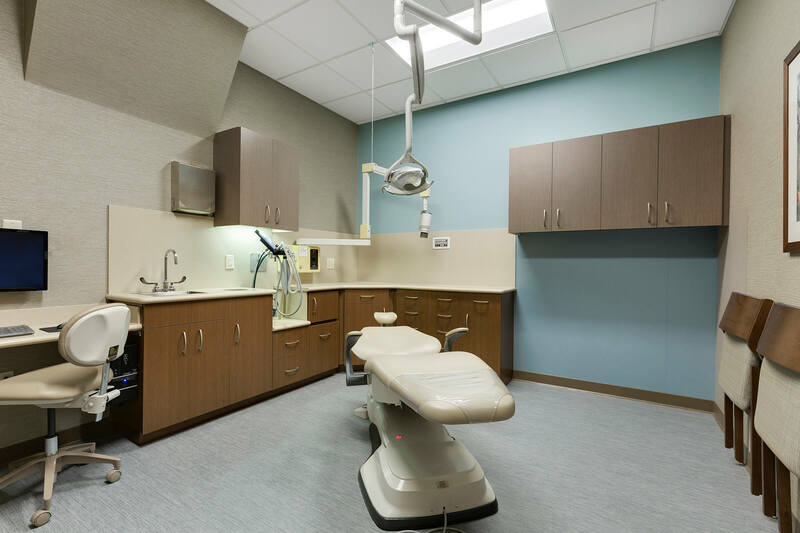 This project required planning, architecture and interior design services for an oral surgery clinic. 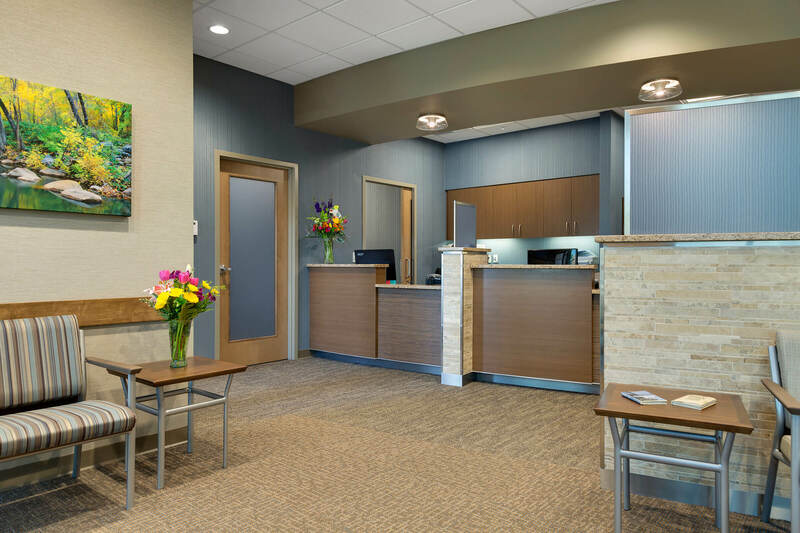 The team continued the branding elements previously developed for the Maplewood Oral and Maxillofacial Surgeons clinic in Maplewood. 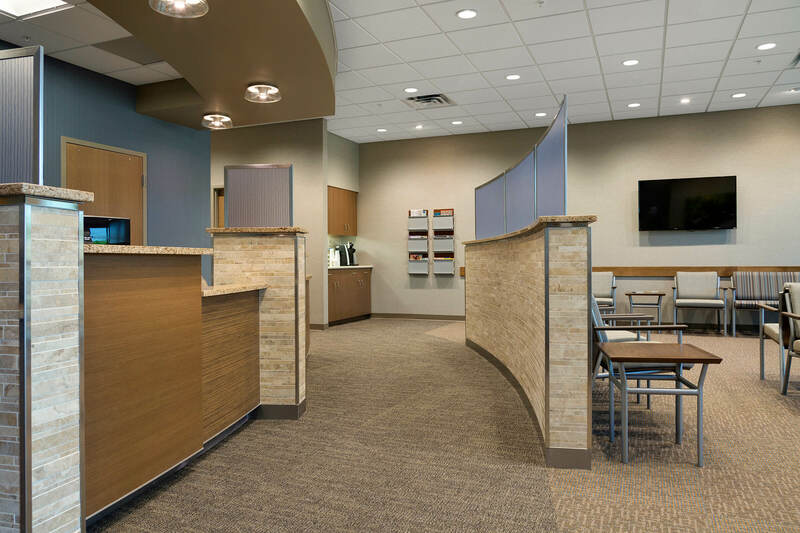 The concept includes the creative use of wood and stone throughout, against a backdrop of neutral tones and blue accents. 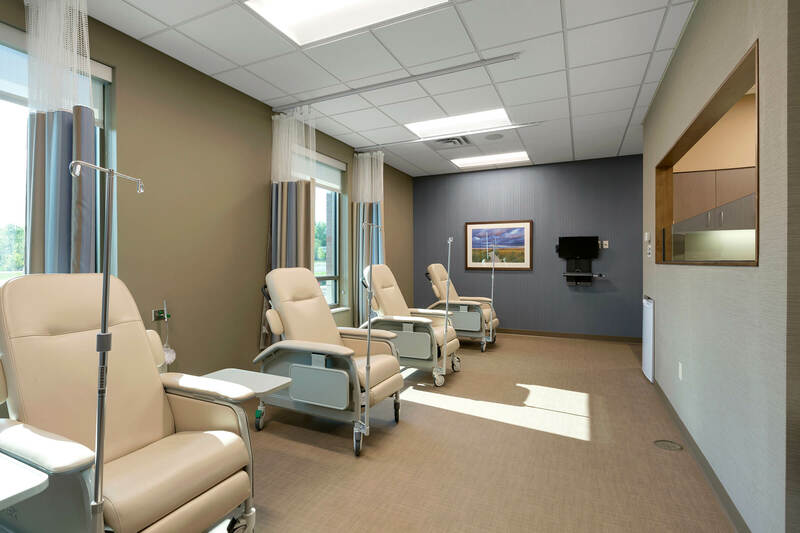 The warm and comfortable environment helps patients to feel more at ease. 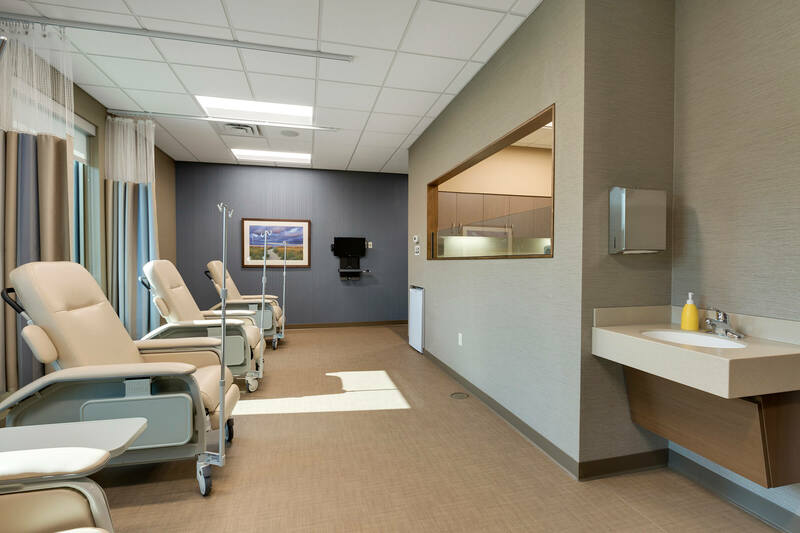 The space included four operatories, two consult rooms, a four-chair recovery area and a spacious waiting area for the patients and their family. 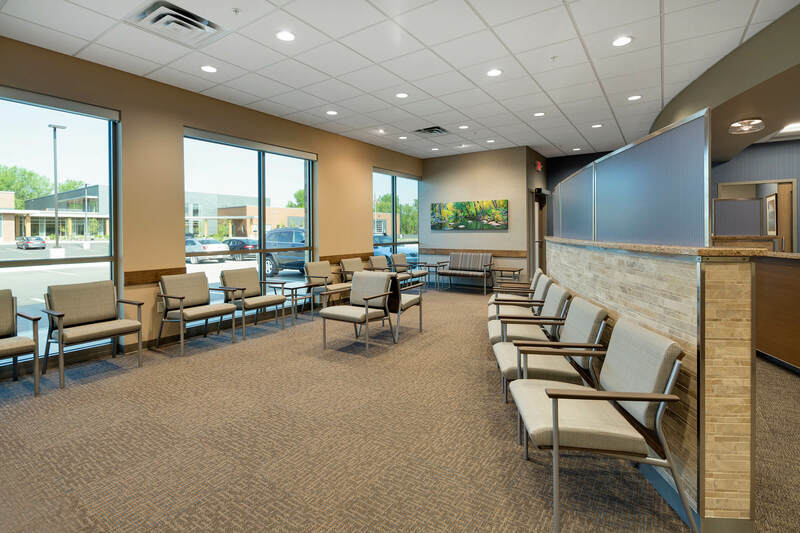 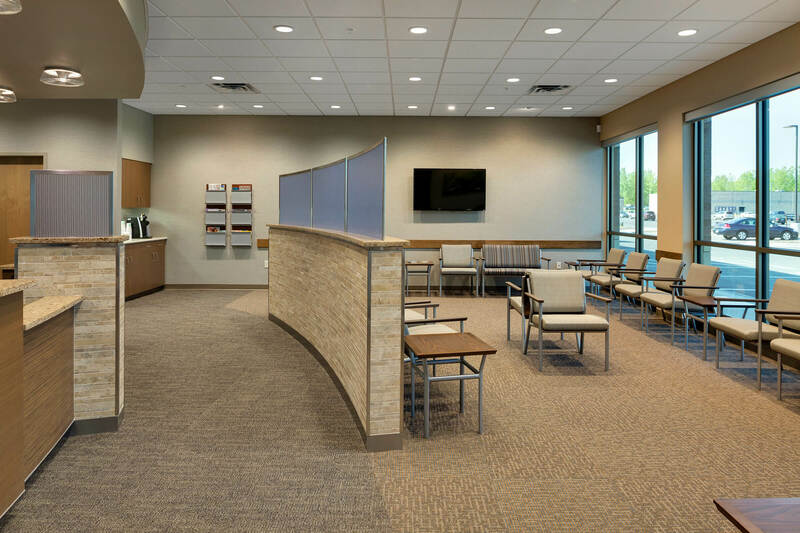 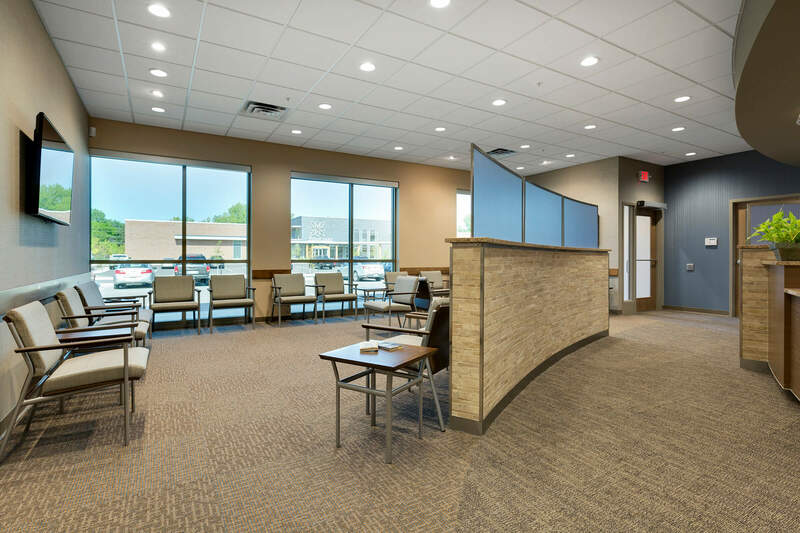 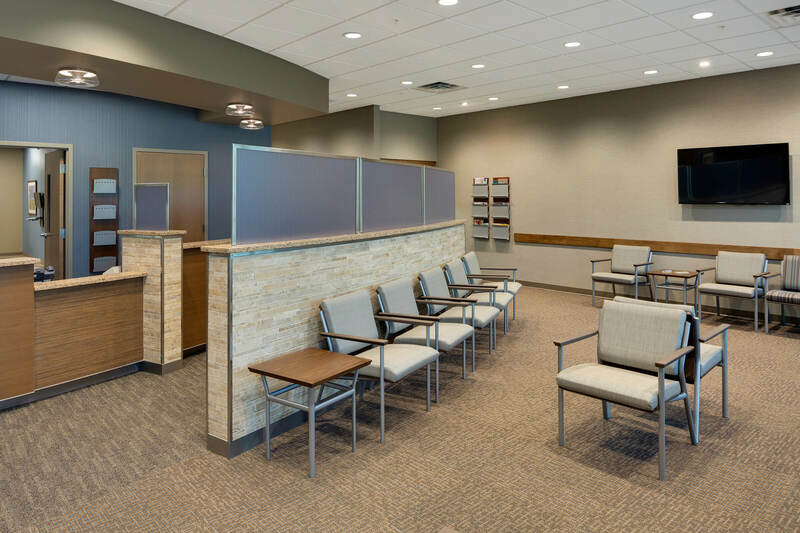 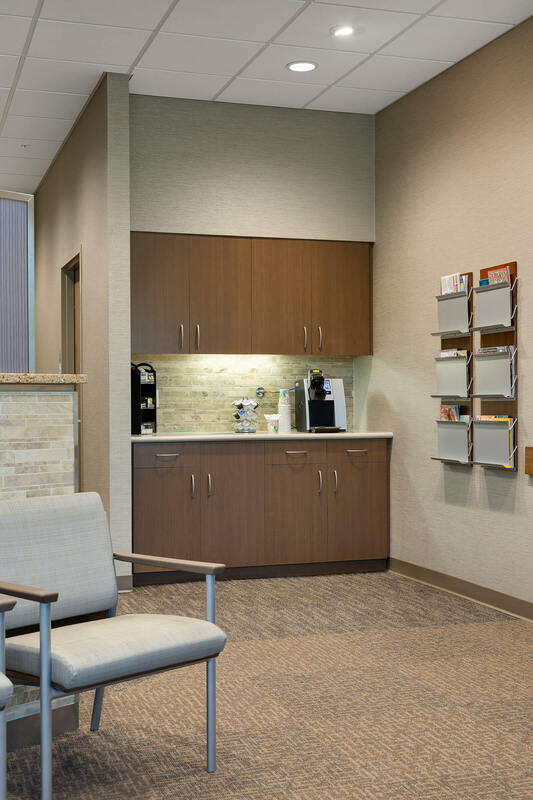 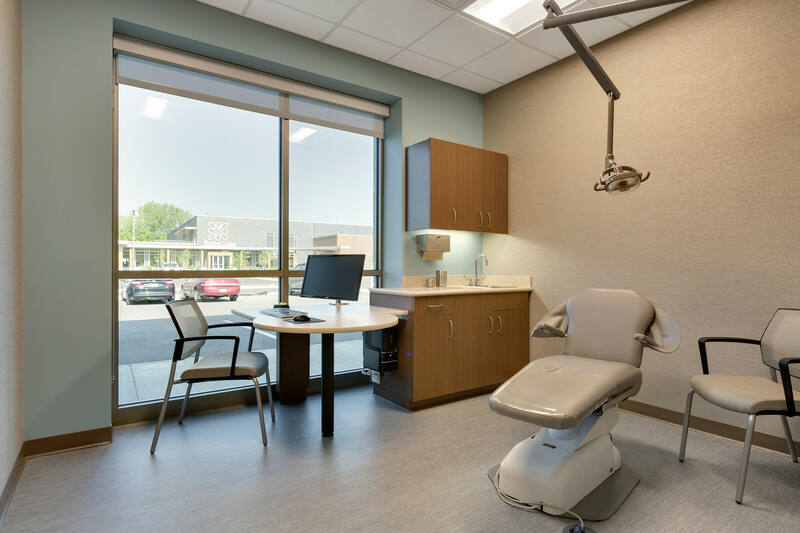 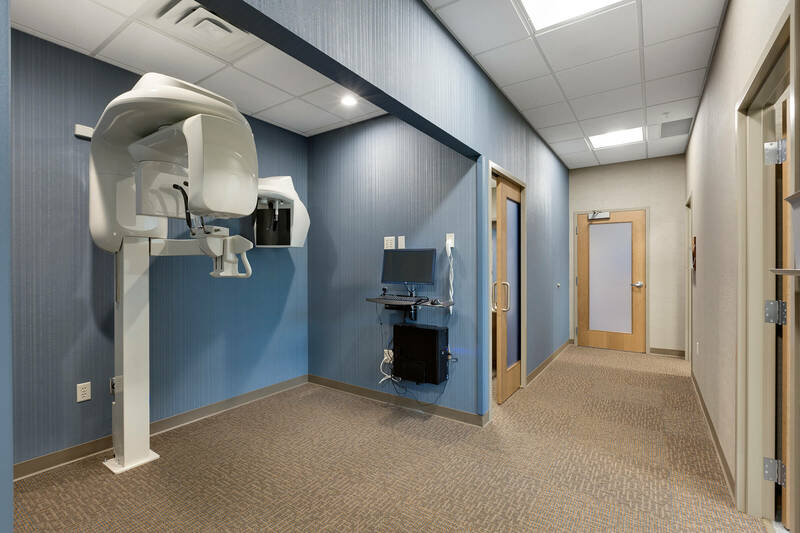 The space was carefully planned to include a lab, break room, and work area for the surgeons and staff to work efficiently throughout the clinic.